When I first discovered scalar energy, I thought it was amazing how simply having a pyramid in my home could have such a profound effect on my sleep. (Wifi can cause anxiety and insomnia, I had been looking for a cure for my sleep issues for years.) 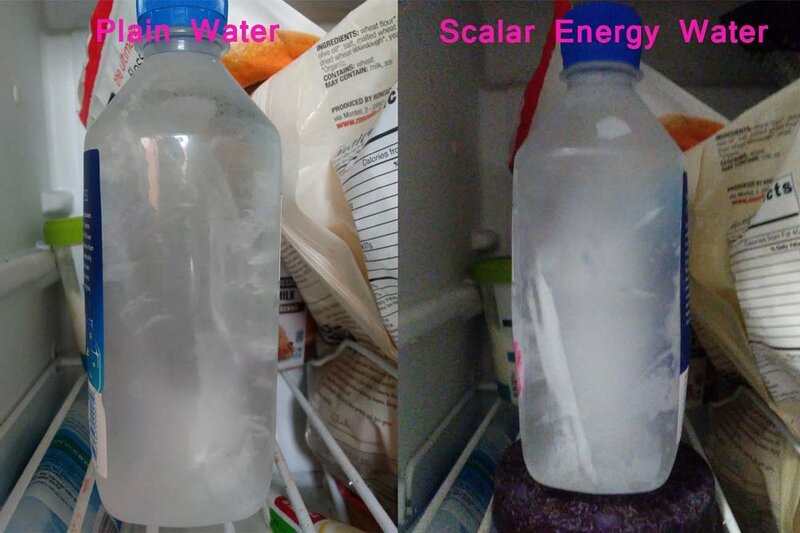 After seeing the positive benefits scalar energy had in my home and in the waterways I gifted, I decided to start charging all of my drinking water with orgone energy. I make my food and water charging plates with metals, quartz or amethyst, and shungite, known for it’s EMF fighting and water purification properties. Stanford studies have shown that scalar energy can get the cells moving and have a healing effect. http://www.donnafisher.net/images/Stanfordstudy.pdf Another Stanford study has shown evidence that scalar energy can have a healing effect on DNA. https://www.pulsedtechresearch.com/wp-content/uploads/2015/02/Effects-of-Non-Hertzian-Scalar-Waves-Rein.pdf Since our bodies are made mostly of water, then having this healing energy in our bodies can have a positive effect. Here is another link for those who want to read more on these studies. I have felt better since I started drinking the charged water. I buy water that has already been purified through reverse osmosis, and enhance the frequencies by placing the water bottle on top of the charging plate for anywhere from 5 minutes to several hours. The charged water feels better to drink, and I have noticed my body seems better able to fight off cold germs when I have come into contact with them, my immune system is stronger. But since scalar energy is a subtle energy that is not visible to the naked eye, (except to those with developed psychic sense) how do you know it is working? There is an experiment on the internet that makers of orgone products use to capture the energy in the water by freezing it. I decided to try the experiment for myself, and like all of my orgone experiments, the results are pretty amazing. You may see the photo below for results. I took 2 bottles of the same kind of Fiji water. I froze one with no charging plate, and I froze one on top of the charging plate. As you can see, the scalar energy charged water has a visible funnel of energy moving up the center. How cool! All scientific experiments must be repeatable, so here are a couple of other examples of this if you would like to see. The moral of the story is, you don’t need to spend a ton of money to have healthy, healing water. The charging plate is inexpensive and lasts forever. I do recommend starting with clean water that has heavy metals and fluoride filtered out of it, as fluoride is a neurotoxin. https://www.ncbi.nlm.nih.gov/pmc/articles/PMC3491930/ Many people also report that having a charging plate in their refrigerator seems to make their food last longer as well. Using this energy to charge your water seems to be a win-win. If you would like more information on scalar energy, this article is pretty thorough and cites references. https://exonews.org/scalar-waves-what-might-they-be/ Here is to your health! All information on The wuwuwoman.com is meant for educational and informational purposes only. The statements on this website have not been evaluated by the Food and Drug Administration. Products and/or information are not intended to diagnose, cure, treat, or prevent any disease. Readers are advised to do their own research and make decisions in partnership with their health care provider. If you are pregnant, nursing, have a medical condition or are taking any medication, please consult your physician.